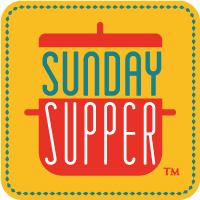 This week's #SundaySupper event is perfect for the holidays - we're sharing libational creations, using an alcoholic beverage or flavoring as an ingredient. I decided to feature one of my favorite winter treats: baked pears. Espuma is similar to Italian zabaglione, or French sabayon - egg yolks and sugar whisked to a luscious froth over simmering water. You can make this in a matter of moments. And, served warm, spiked with tequila, this is almost magical! The secret to a foamy espuma: whisk continuously. Do not stop. 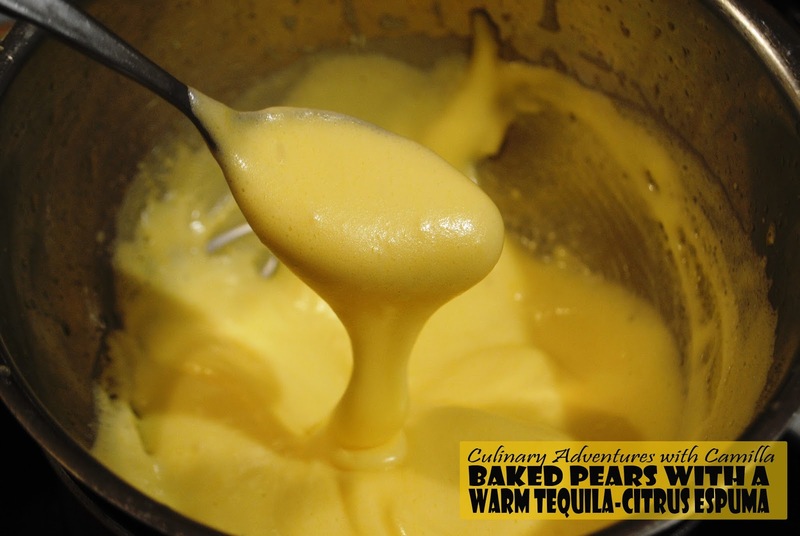 Preheat oven to 350 degrees F. Peel the pears and place them in a rimmed baking dish. 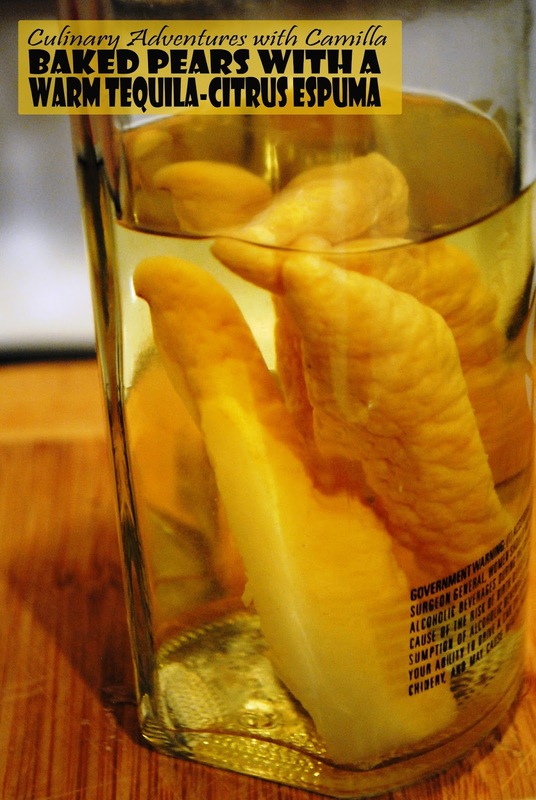 Whisk the honey into the water and pour it over the pears. Cover with foil and bake for an hour or until the pears are soft to the touch. 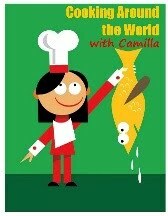 Let rest while you make the espuma. 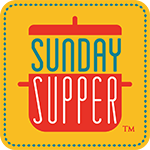 In a double-boiler or a stainless steel bowl over a pan of simmering water, whisk together the egg yolks, sugar, juice, and tequila. 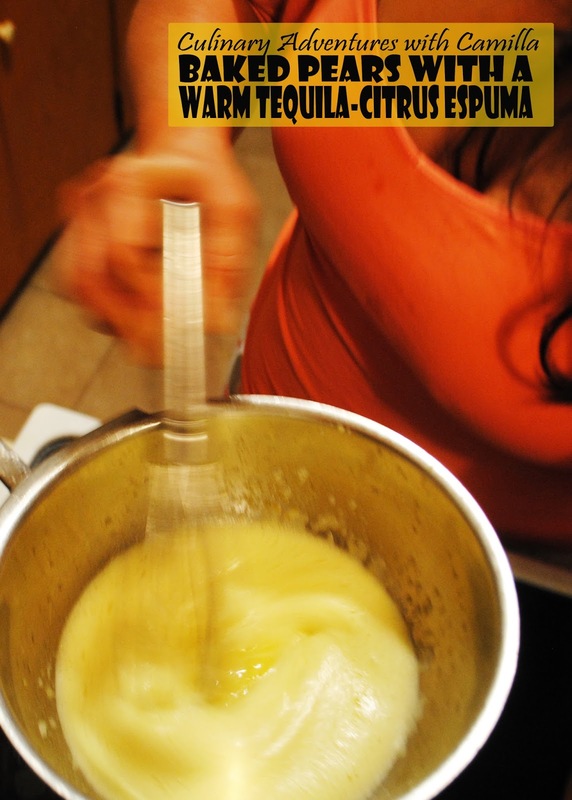 Whisk the yolk mixture continuously, until it becomes thick and fluffy, about 7 minutes. Remove the bowl from the saucepan. Spoon the warm espuma into a serving bowl, arrange the baked pear on top of the foam, and crumble some shortbread cookies over the top. I couldn't wait to see what Espuma was and now I know I have to make it. Thanks for sharing the recipe and cheers! It's SO easy!! You'll have to try it and tell me what you think. 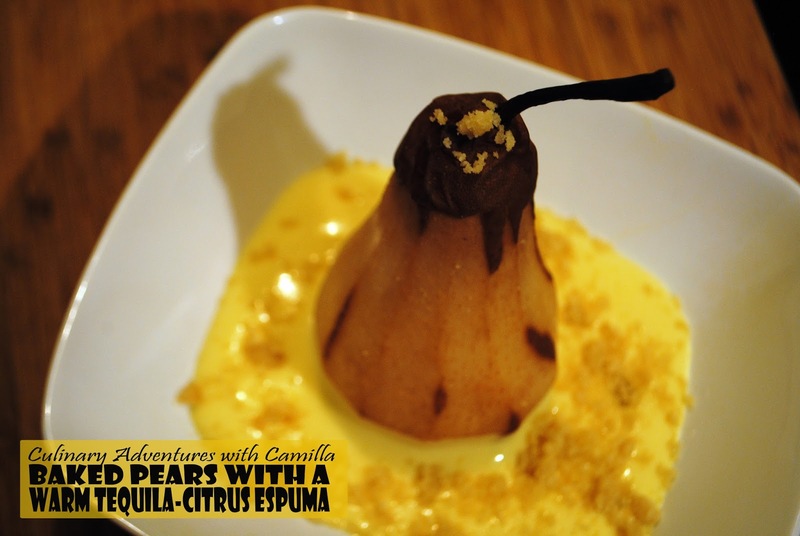 Pears are my favorite autumn fruit...and now I have a new dish and lovely, boozy sauce to try! Delish! I love pears and this sounds so good. I do have to ask, is that a hand in the tequila bottle? 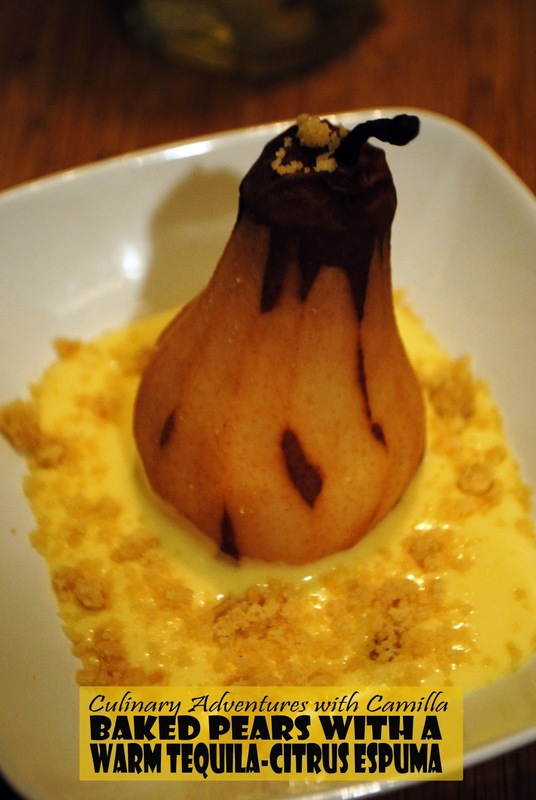 Love a pear dessert like this one. I love pears for the holidays!! Stunning! These are all new flavors to me! Thanks, Cindy. You can't go wrong with citrus and tequila though, can you? I love this idea! Pinned. Happy Holidays to you and your family and great choice for our event. Happy holidays to you, too, Lea Ann. What a wonderful pear dessert! I just love it! WHOA. Just, whoa! I caught one glance at that awesome sauce and melted in my socks. I'm saving this recipe for sure, it's so unique and I love it to bits already!! Cheers! Thanks, Ala! I would love t hear how it goes when you make it. It's definitely unique and delicious! Thanks, Julie! I hope you give it a try. It's so easy...and delicious. This looks incredible and I bet it tasted even better! Thanks, Sarah. They did taste pretty amazing if I may say so myself. Thanks, Serena. These were as delicious as they looked, too.